Block Building juxtaposes the past and present while tracing both a rich history and vibrant future for Chicago’s block clubs – ultralocal civic organizations that have deep roots throughout the city. 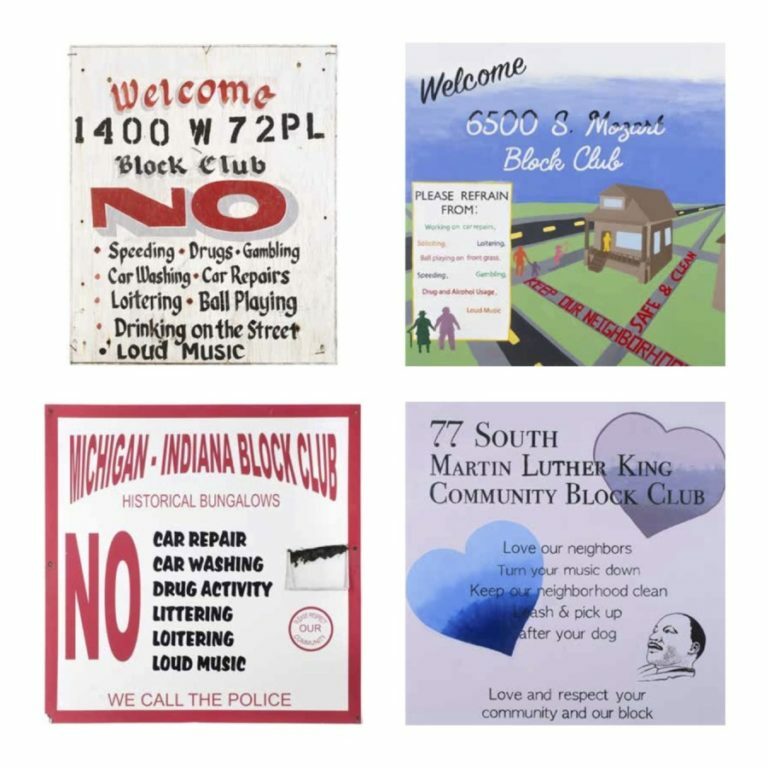 The exhibition is organized in partnership with My Block, My Hood, My City and features block club signs that have been designed and fabricated by youth in Arts and Public Life’s Design Apprenticeship Program, alongside the old signs they’ve replaced. Additional components of the exhibition include process sketches for the new signs, ephemera from block club members’ personal archives, and home movie footage of 1960s block parties in Chicago, courtesy of the South Side Home Movie Project.